At Interlink Electronics, a seasoned management team drives corporate strategy and directs the development of the world's most advanced and innovative force sensing technology. Learn more about the people who have propelled Interlink Electronics from a small startup to a global leader. Mr. Steven N. Bronson has over 30 years of business and entrepreneurial experience. His successful background in investment banking, operations and management has led him to acquire meaningful stakes in several promising technology companies and assuming CEO roles. 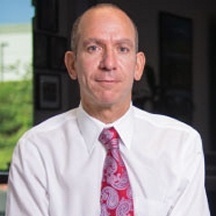 Mr. Bronson became the CEO and Chairman of Interlink Electronics, Inc. in July of 2010. In March of 2011 he also took on the role of President, bringing both his operational and financial expertise to the company. Since successfully turning around Interlink's business to profitability, Mr. Bronson has focused on strategic matters, mission-critical decisions, and identification of potential acquisitions and business partnership opportunities. In July 2013, Mr. Bronson assumed the positions of President and CEO of Qualstar Corporation, a high quality tape library manufacturer, and its subsidiary N2Power, a manufacturer of high efficiency power supplies for diverse electronics industries. He immediately initiated a turnaround strategy, implementing cost cutting measures plus aggressive sales efforts that are fundamental steps towards profitability. Mr. Bronson has held the position of CEO & Chairman of BKF Capital Group, Inc. (BKF), a publicly traded company operating through its wholly-owned subsidiaries, BKF Investment Group, Inc. and BKF Asset Holdings, Inc. since October 2008. From 1996 until November 2014, Mr. Bronson founded Bronson & Co's and served as CEO & Chairman. Bronson & Co., LLC is an investment banking firm that assists private and public, emerging growth and middle market companies with raising capital, mergers & acquisitions and advisory services. In addition, Mr. Bronson served on the board from September 1996 to July 2000 of Mikron Infrared Instruments, Inc.; he served as Mikron's Chairman and CEO from August 1998 to May 1999 during a restructuring period. Mr. Bronson led the effort of recruiting a top notch management team, eventually increasing the company's revenue by 500%; the company was sold in April 2007. Mr. Bronson currently holds the series 4, 7, 24, 53, 55, 63, 65, 66 and 79 licenses. Dr. Lu joined Interlink on February 3, 2014 and is based in Singapore at our wholly-owned subsidiary Interlink Electronics Singapore Private Limited. 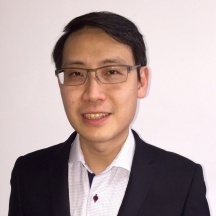 As CTO, Dr. Lu's responsibilities include developing strategic technology and product roadmaps, identifying synergistic R&D partnerships and funding opportunities, leading the internal R&D team, and maintaining Interlink Electronics' competitive advantage in the human-machine interface technology landscape. Prior to joining Interlink, for over 15 years Dr. Lu had made significant R&D contributions to the Singapore Institute of Manufacturing Technology (SIMTech), which develops high-value manufacturing technology and human capital to enhance the competitiveness of Singapore's manufacturing industry. SIMTech is a research institute of the Agency for Science, Technology and Research (A*STAR). Dr. Lu's most recent role was Program Manager of the Large Area Processing Program, where he established and spearheaded Singapore's key R&D facility and pilot line for roll-to-roll manufacturing of functional films and printed electronics. In his other technology leadership roles at SIMTech, Dr. Lu has orchestrated R&D collaborations and industry consortia in disruptive and emerging technology platforms that included embedded passives, broadband communications, and electronics packaging with multinational corporations and local enterprises. Dr. Lu earned both Ph.D. and B. Eng. in electrical engineering from the University of Manchester Institute of Science and Technology in the U.K. Dr. Lu also received the Lee Kuan Yew Award for Mathematics and Science in Singapore and the Institution of Electrical Engineers Prize in the U.K.
Dr. Heitzinger is a 20 year veteran of the electronics industry with recent roles in corporate and R&D leadership. His efforts in technology development led to best-in-class industry processes and equipment for semiconductor wafer cleaning. This resulted in successful product launches and penetration of products into top tier semiconductor fabs throughout the world. He joined Soligie at its start in 2005, built the engineering team, led programs that defined the manufacturing processes and services that Soligie offered to its customers and was instrumental in establishing Soligie as a leader in the field of Printed Electronics. As President of Soligie he guided the organization to steady revenue growth eventually resulting in acquisition of Soligie by Molex. 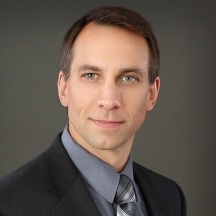 At Interlink, Dr. Heitzinger continues to drive business growth by engaging with industry consortia, government agencies and other early adopters of technology to develop comprehensive solutions that leverage Interlinks engineering expertise and extensive product knowledge. Dr. Heitzinger earned B.S. degrees in physics and chemistry from the University of Wisconsin at Stevens Point and a Ph.D. in chemistry from the University of Colorado – Boulder. © Copyright 2018, Interlink Electronics, Inc. All rights reserved.